There was a discussion on my Hms Ontario about the gupnports,some said the gunports should be paralel with waterline some said with the sheerline of the gundeck. Here's an extract from the admiralty-draught. 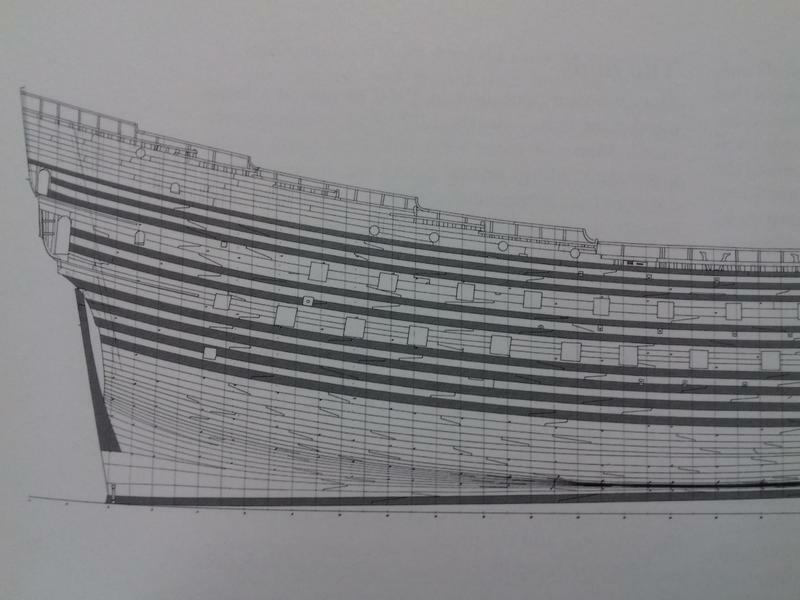 The gunport sides are all parallel and vertical, however the sills follow the deck-sheer and not the waterline. I was I guess referring to the top and bottom of the gunport parallel with the gundeck sheerline and the sides are perpendicular on the waterline. I have always thought the ports should be parallel with the deck sheerline. I've build kits where it seems depending on the build it can follow one or the other. To me it makes more sense to follow the Sheer, guns sit directly on decks. As far as I know also Dutch build vessels have their gun ports following the deck line and dont have square gun ports. 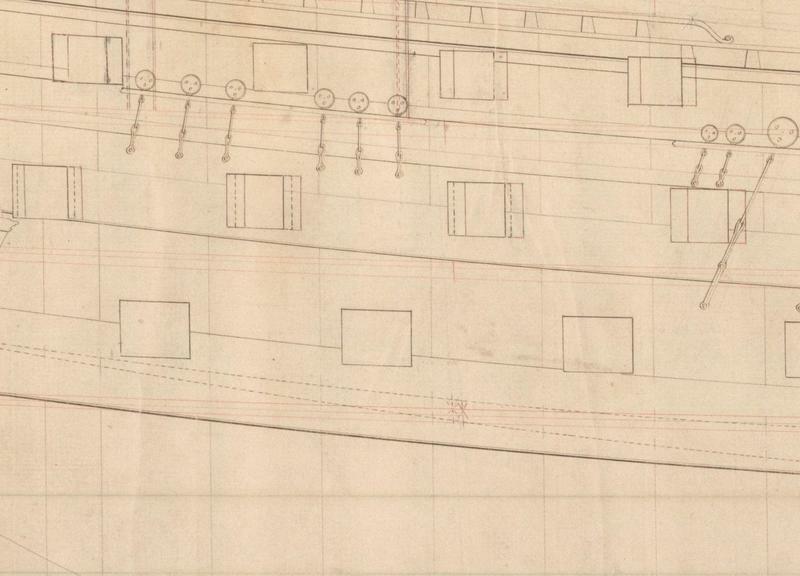 See below a picture of the Batavia perfectly showing this with its non rectangular gun ports in the aft part of the ship where the deck is rising. @Maarten You honestly don't believe what Willem Vos did?! 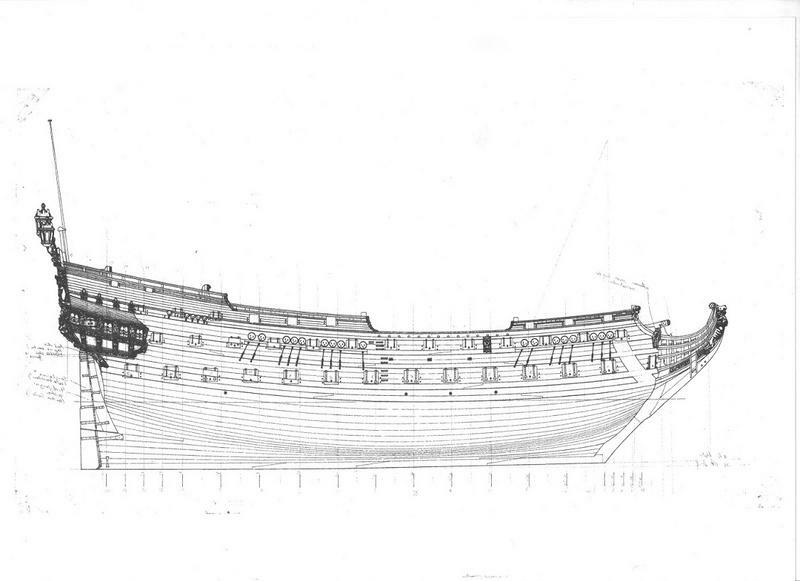 The Batavia (1627) was a shell-first built ship! Thus the gunports would have been perfectly square (or rectangular). Willem Vos' Batavia is built frame-first thus the gunports are rhomboid. 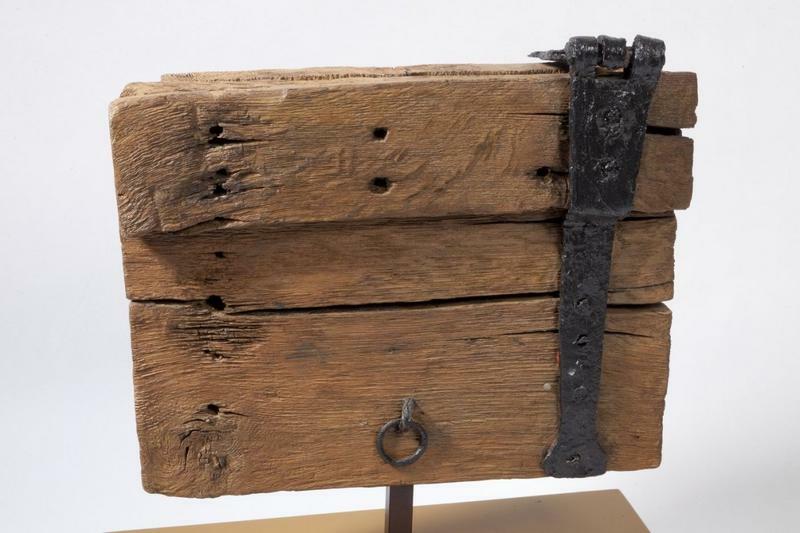 I know of about seventy seventienth century Dutch gunport lids. One of the Batavia, one of the Den Helder Wreck and the rest from the Vasa. These are all shell-first built shps and their gunports are ALL square! After 1700 when frame-first built ships were being built on Dutch Yards here too the gunports became rhomboid. Here's the Batavia gunport. 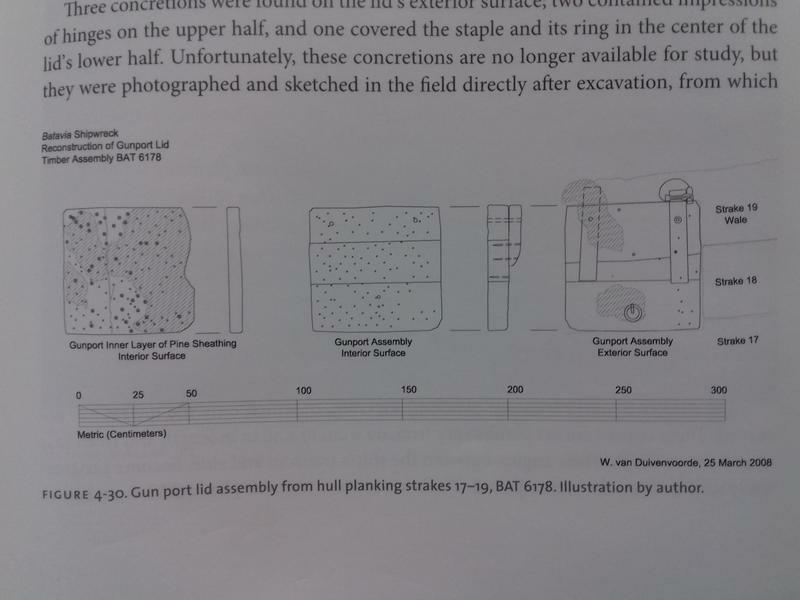 Wendy van Duivenvoorde writes: "The gunport preserved on the side of Batavia's hull structure is more or less square..."
But lets not hijack my Bellona thread, this subject is worth a thread in itself. One last comment on this. I just checked my copy of Nicolaas Witsens scheepsbouw konst opengestelt which is a 17th century book about ships build in the 17th century in The Netherlands. He is writing in 17th century Dutch: Na 't rijzen en daelen des Verdecks en overloops stelt men de poorten. This means that the gun port is following the rise and fall of the deck. Offcourse the majority of the ports are more or less square. See the part of witsens below. any update on your build ? I am considering this kit for my next build.